Actual field operations have proven that LUBRIPLATE SPO Lubricants provide a tacky, superior lubricating film for high-sliding action in worm, bevel, helical and spur gears as well as machine ways, chains etc. This series of products will reduce friction and heat, thus improving efficiency. The anti-wear properties are compatible with brass, bronze and silver-alloy metals. They are excellent for areas of high moisture, heat and load found in many industries ranging from quarries and mills to food processing plants. -Reduce friction, wear and lower operating temperatures, thus reducing power consumption and lowering maintenance costs. -Provide excellent oxidation and thermal stability which retards the formation of acidic contaminants, carbonaceous material and increased viscosities, thus extending fluid life. -Provide excellent demulsibility and filterability, thus allowing water and contaminants to be easily removed. 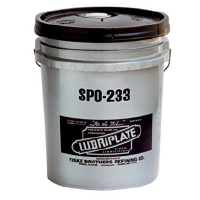 -Provide an anti-wear, tacky, cohesive lubricant film protecting all metal surfaces against rust and corrosion and protects copper and copper alloys from chemical attack by contaminants. -Provide lubricant consolidation, e.g. 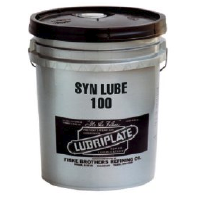 one oil for gear boxes, bearings and ways.